Almost a year ago, the Office of the Vice President for Academic Affairs (OVPAA) organized a symposium to disseminate the results of 18 OVPAA-supported projects. 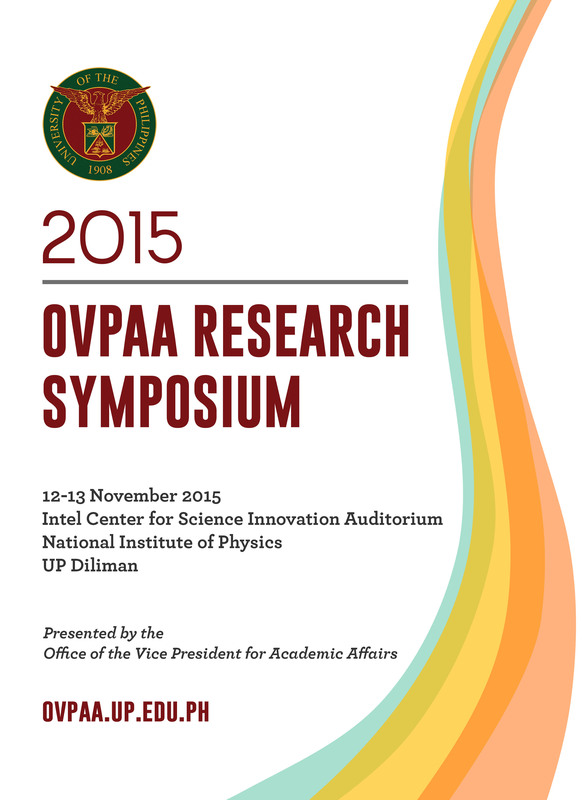 The tradition continues this year with the 2015 OVPAA Research Symposium scheduled for November 12 and 13 at the Intel Center for Science Auditorium of the National Institute of Physics, UP Diliman. Proof to the energetic research environment in UP are the 57 plenary and parallel presentations, 20 of them on new projects, that had been lined up for the annual gathering. These projects are funded by the Emerging Interdisciplinary Research Program and the Balik PhD Program of the OVPAA. Last year, a round table was held on the second day to discuss issues related to the management and operation of projects. For more information, please contact Christine or Dawn at 981-8500 local 2622.